Bargain Basement or Trap Door? Do you scan the aisles of supermarkets desperately seeking only products whose dangler, glorifier, wobbler or necker promises a BOGOF, three for two or half price deal? Or do you assiduously shun such promotions as dirty tricks, sorry marketing gimmicks, aimed at luring the gullible and my mother into impulse buys? At least Aldi and Lidl, as this column has pointed out, do what they say on the tin because their no-frills prices are an honest substitute for a potentially dubious promotion. Each month the supermarkets send the press a list of their forthcoming promotions with wine deals involving anything from £2 - £10 off or percentage discounts from anything between 25 and 50 per cent off. Holding the keys to the bargain basement treasure chest, we could simply go to town on the month’s biggest ‘bargains’. We could tell you that at Tesco you can get £10 off Bollinger, Lanson Rosé and Veuve Clicquot Rosé until Tuesday, that Terrefort Madiran is half price and you can save 33 per cent on Croix Milhas Rivesaltes Ambré. Or why not take up M&S £16 half price offer on Oudinot Champagne? The problem is that size of discount doesn’t necessarily equate to size of bargain. If anything, the opposite is the case. There is a depressing familiarity about the names in most of these supermarket promotions. Eyes glaze over as again and again the same old brand names appear: Black Tower, Blossom Hill, Cono Sur, Hardy’s Stamp, Hardy’s Crest, JP Chenet, Jacob’s Creek, McGuigan, Echo Falls, Yellow Tail, Calvet, La Chasse, Banrock, Gallo and a host of other wines promoted because in an effort to gain market share, the brands ‘encourage’ the supermarkets to promote their names. Such brands vary in quality and I’m more likely to mention a Jacob’s Creek than a Black Tower, but in general these are the soulless brands that wine writers have to think carefully about recommending, even the champagnes with their vast promotional budgets, simply because our aim is to communicate genuine value and not the artifice of so-called value trumped up by promotions. In this light, the supermarkets whose promotions I find the most readily resistible are Asda, Morrisons, The Co-op and Marks & Spencer. 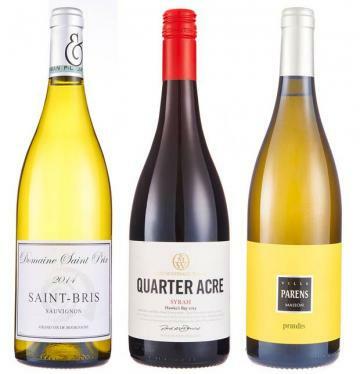 Tesco and Sainsbury’s make a bit of an effort with a discount on some of their better own-label ranges such as Tesco’s finest* Sancerre or Sainsbury’s TTD Languedoc White. Waitrose has the most coherent promotional list with good buys from smaller growers chipping in such as the Feiler-Artinger Blaufränkisch, Escarpment The Edge Pinot Noir, and Markus Huber Grüner Veltliner. However, with Aldi and Lidl racing ahead of the market without having to resort to promotional gimmicks which only create deal junkies anyway, maybe it’s time for a mass market re-think. This fine North Island syrah shows a seductive pepper, violets and cola-spice perfume with typically elegant cool climate dark blackberryish fruit infused with thyme and rounded out by smooth texture and refreshing acidity. £15, Marks & Spencer. Vibrant fresh herbal aromatics with a refreshing prickle on the tongue, this chardonnay, ribolla gialla and sauvignon blend is delightfully juicy and intense with a textured, grapefruit-zesty dry tang on a bone dry finish. £19.95, Slurp.co.uk.